(CNN) - On the same day Vice President Joe Biden knocked Mitt Romney for having a "Cold War mindset," two of Romney's national security advisers made references to threats dating back to the Soviet Union era. The comments came in a conference call with reporters Thursday morning, ahead of Biden's speech targeting Romney on foreign policy later in the day. Attacking the Obama administration for "withdrawing in leading the free world," former Navy Secretary John Lehman argued on the call that the president's policies open the nation up to "huge new vulnerabilities." "We are seeing the Soviets pushing into the Arctic with no response from us. In fact the only response from us is to announce the early retirement of the last remaining ice breaker," Lehman said. Also, in a discussion on the new Strategic Arms Reduction Treaty (START) with Russia, former U.S. Ambassador-at-Large for War Crimes Pierre Prosper mistakenly referred to a country that no longer exists. "You know, Russia is another example where we give and Russia gets, and we get nothing in return," he said. "The United States abandoned its missile defense sites in Poland and Czechoslovakia, yet Russia does nothing but obstruct us, or efforts in Iran and Syria." Czechoslovakia split into two countries–the Czech Republic and Slovakia–in 1993. Neither country served as a site for the proposed U.S. missile defense system. The U.S. wanted to put part of the system in the Czech Republic, but the country's prime minister canceled a vote in 2009 that would allow the move to take place. Later that year, the Obama administration decided to scrap the plan in Eastern Europe, which was first proposed by the Bush administration. The advisers' remarks came after Romney's campaign has had to beat back consistent attacks targeting the candidate as out of touch on matters of foreign policy. The criticism largely stemmed from Romney labeling Russia as the United States' "number one geopolitical foe" last month. Team Romney did not immediately respond to a request for comment. Myviews, AGREED! If i could live on a broad I'd be really really happy! Which Nation is now the Alpha Male on the World Stage? If the U.S. isn't then it has become like a sheep pandering up to a Bear; with the expectation that it won't be eaten because it's being submissive. The Soviet reference really does not frighten me much: however, I am waiting for Romney's advisors to say how much the Ottoman Turks and the Austro-Hungarian Empire concern them, paticularly over their expansion into the Balkans and possibility they could threaten Britian's possessions in India. Its such a relief to know that Romney's brain trust has kept up to date on geopolitical events and terms, and their ignorance has made me smile. Nonsense to USA. Bain capital. @enodot – glad you agree that it would be good for all Americans to experience living abroad and learn languages, customs, views, habits and the way people think of the USA in other countries. Unfortunately, Americans are limited to the states and are under the impression that other countries think, view, eat the same as the USA. Most americans find it strange to have the bathroom combo with the kitchen or have the washer in the kitchen and no dishwasher and no closets in the bedrooms. Usually, Natasha's and Boris's misdeeds are thwarted by Rocky the Flying Squirrel and Bullwinkle the Moose. I loved Rocky and Bullwinkle as a kid, watching this brings back such memories. Romney its not 84 come out of the dark ages China and India are the emerging new powers in the world. Smoking Russian crack Romney will not make you any smarter than you are. 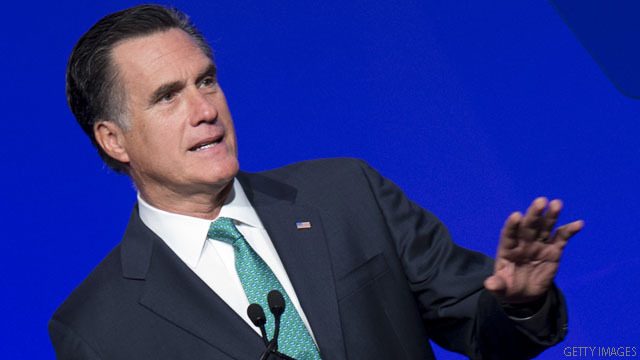 "Team Romney did not immediately respond to a request for comment." We don't need old icebreakers when we can use all this political hot air. Wow, kooky, weird, laughable and frightening, all in one. I'm sure President Mitt will appoint Sarah Palin as his Sec. of USSR watching. Bachmann, of course, will be Sec. of Canada handling. Sometimes Romeny's camp is just odd. Remember folks, he's got Robert Bork helping him with the SCOTUS. This is the man who, as a circuit judge, always sided with corporations and the government over people. He does not care about the individual in society, only power. So Lehman, former Navy Secretary Under Reagan. Newflash, the Cold War is over. America won! These are the people that Flip Flopper wants to bring to run foreign policy. The same policy that was all about creating and building arms. The same policies that lead America in a deep recession back in the late 80's early 90's. The same policies that was used by the last Bush Administration that led America into 2 Wars and took all the surplus the Clinton left prior to leaving the White House and basically making the US bankrupt and going to the Bank of China for loans after loans. Really, this is alternative that America has is bring all this old prunes from the dead to destroy American once and for all.